Tekkie Pinas: COLOR MANILA: BACK IN CEBU FOR THE CM CHALLENGE ON MAY 14, 2017! 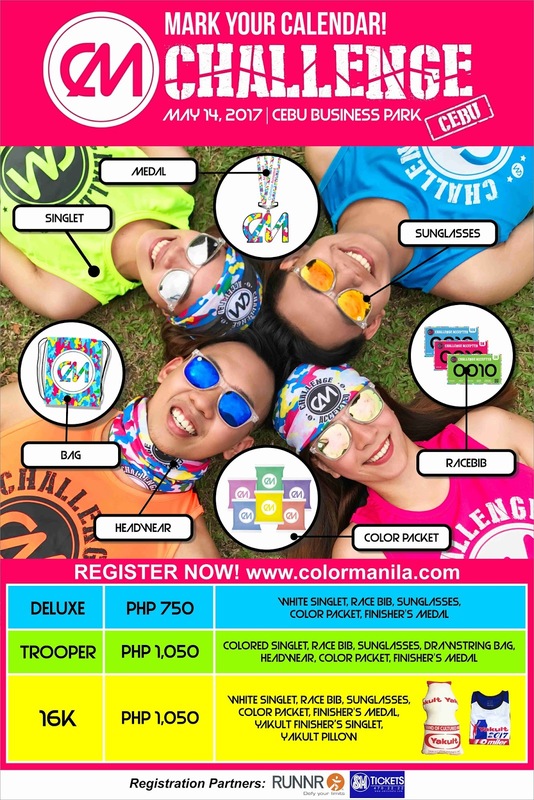 COLOR MANILA: BACK IN CEBU FOR THE CM CHALLENGE ON MAY 14, 2017! 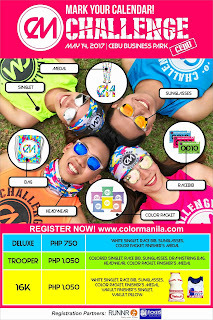 20th April 2017 - Manila: COLOR MANILA’S CM CHALLENGE RUN, which is the biggest obstacle fun run in the country, will be back in Cebu City on May 14, 2017, at the Cebu Business Park in Ayala Cebu.